Ever wanted to go to Rio? 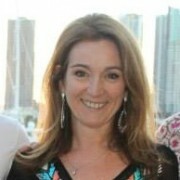 Australian children’s and young adult author, Julie Fison, has a new book out this month called How To Get To Rio. It’s part of a cool new Choose Your Own Ever After series that lets the reader decide how the story goes. I have loved this concept ever since I read The French Lieutenant’s Woman which had three possible endings. How To Get To Rio has seven possible endings – I can’t wait to explore them! So today I have invited Julie to share with us a little about her latest book and upcoming projects. Julie: The Choose Your Own Ever After series is a very positive series for tweens. The reader has a series of choices to make throughout the story, and with every decision, there’s a consequence. There are no nasty endings in this series, but the message is clear – choice, not chance, determines our future. Opportunities might come our way by chance, but it’s what we choose to do with them, that is important. And what about your new book? Julie: The series kicks off with Hot, Cold Summer by Nova Weetman and my story, How To Get To Rio. In this one, schoolgirl Kitty McLean has to choose between going camping with her best friends or going to an exclusive beach resort with popular-girl Persephone. She wants to spend the holidays with her besties but she also wants to get to know Persephone better. The beach holiday has an added attraction – the very cute Rio, is going to be there. The decision is the first of many choices Kitty has to make in the book. How did the pick-a-path format differ from other books you have written? Julie: In the other stories I have written, the main character comes up against a problem early on in the story, and spends the rest of the book trying to resolve it. 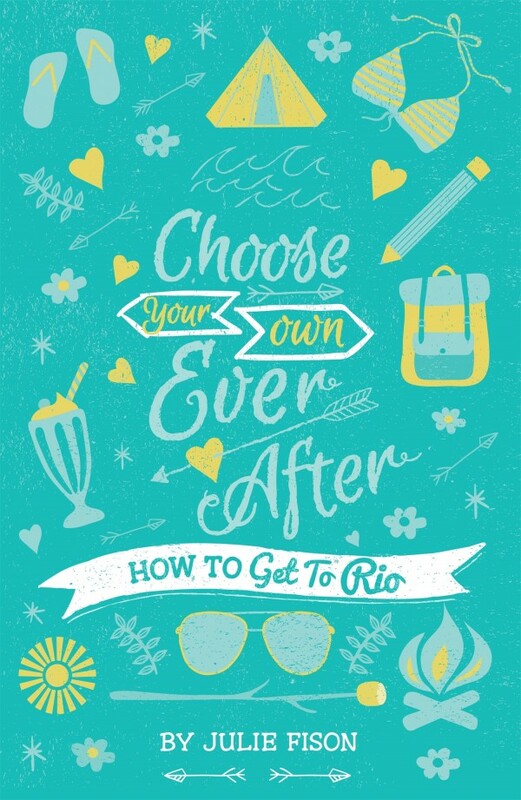 How To Get To Rio is basically seven short stories in one, but they all evolve from the same opening chapters. That meant a lot of threads had to be woven into the opening chapters so they could all unfold in different paths. The plotting was a big challenge! But I had fun working out where equally appealing choices would lead. I’d love to backtrack on my own life and work out where I would have ended up if I had decided not to leave Australia at the age of 21 looking for adventure! Julie: I was a television news reporter for many years, but the idea of writing fiction crept up on me during a family holiday on the Noosa River, in Queensland. My sons teamed up with friends and spent the holidays exploring sandbanks, dodging stingrays, building camps, avoiding snakes and generally having a boys’-own adventure. I was inspired. The result was a series of adventure stories for young readers called Hazard River. The books are fast-paced and fun with an environmental twist. Every beach holiday and camping trip I’ve ever been on – as a girl and as a mother – is in How to get to Rio. It’s essentially about friendship, but it’s also full of family food fights, leech attacks, shopping expeditions, beach soccer and of course boys. It’s action-packed! Noosa was also the inspiration for the first of my books for young adults – Tall Dark and Distant. The next – Lust and Found – is set in Cambodia, another of my favourite destinations. I visited the country many years ago, so I did a lot of research to update my knowledge when I wrote Lust and Found, and I was seduced by the place all over again. I knew I had to go back. So, last year, when my son did a volunteer project at an orphanage in Cambodia, the whole family tagged along. 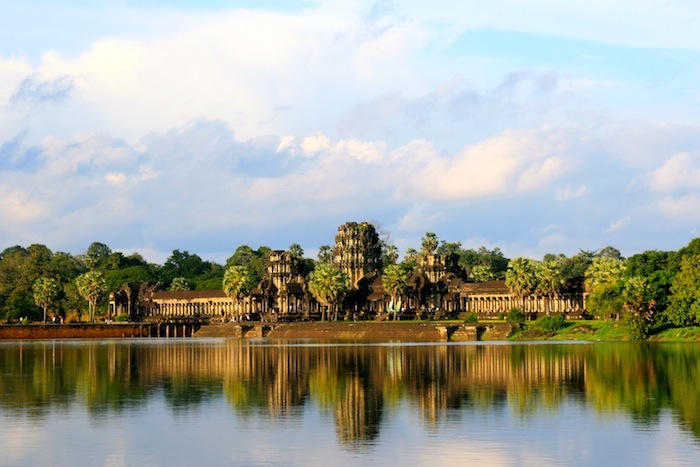 We spent almost a week in Siem Reap visiting the Angkor Wat Archeological Park. It was certainly busier than it had been on my last visit. Bus loads of tourists pour in to the park every day, but it’s still possible to get away from the crowds in the massive sprawling complex of temples. And Angkor Wat at sunset is stunning, even if you have to share the experience with hundreds of others! Julie: I have another book in the Choose Your Own Ever After series coming out in July – The Call of The Wild. I’m very excited about this one because the main character, nature-loving Phoebe, has to choose between going to a party with her friends or helping at a save-the-orangutan fund raiser. The topic is close to my heart because I spent time in Borneo many years ago, and was blown away by the orangutans at the Sepilok Sanctuary near Sandakan. At that time you could walk into the forest, and the orangutans would appear out of nowhere when the ranger arrived with a bucket of fruit. One cheeky orangutan opened my friend’s money belt and ate her cash, another grabbed onto my hand and wouldn’t let go. It wasn’t easy to escape! As I was editing The Call of The Wild, an interview on the radio caught my attention. Orangutan rescuer and campaigner, Lone Dröscher Nielsen, was in Australia to promote her rehabilitation work in Borneo. Lone quit her job as a flight attendant in 1999 and moved to Borneo to help save wild orangutans from extinction. Since then she has established the world’s biggest reserve for these incredible animals. When I checked out the website, I discovered that the foundation was looking for supporters to adopt a baby orangutan called ‘Julie’. Julie. It was a surprise, not just because we shared a first name, but also because people don’t call their babies Julie anymore. (It sure was big in the 60s, but now – not so much.) That’s what I call synchronicity! Thousands of orangutans are lost each year as their rainforest habitat is destroyed by logging, forest fires, plantations and mining. This could lead to the extinction of one of the world’s four species of great apes – one of our most intelligent and peaceful relatives. 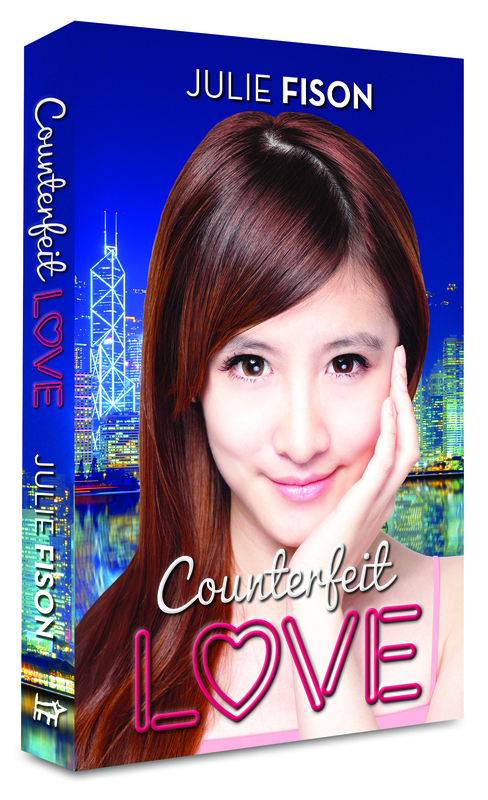 My other book for this year is a story for young adults – Counterfeit Love – a tale of ambition, power, deadlines and romance, set in Hong Kong. 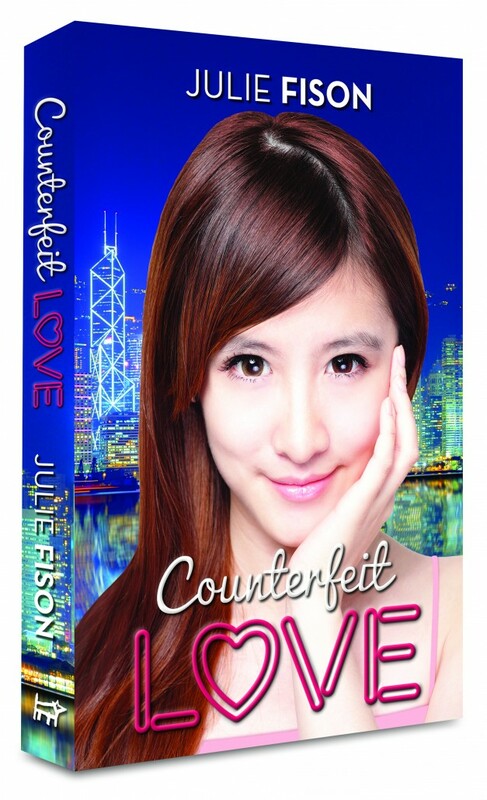 Counterfeit Love comes out in July. I hope you enjoy it! 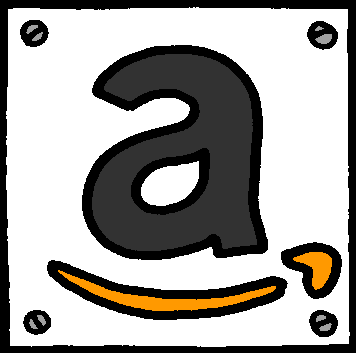 Julie: Thank you for having me on your blog, Sherryl. I loved Seldom Come By and I am looking forward to the sequel!